No more teachers. No more books. No more free lunch. 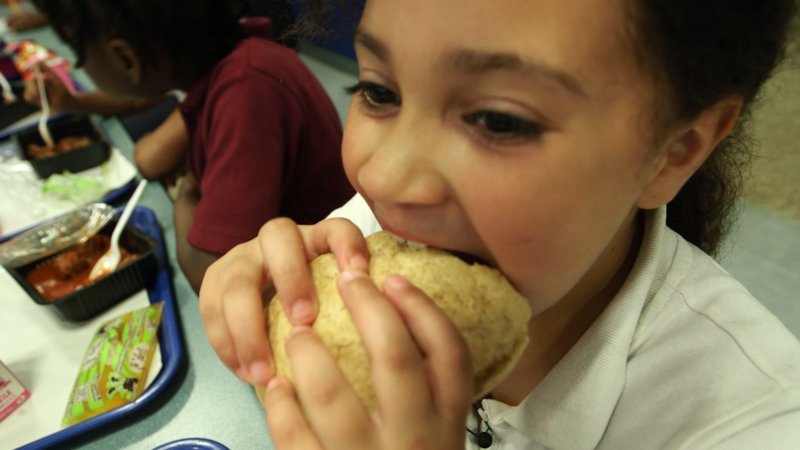 A record 21.7 million American kids get free or reduced-price lunch during at school. But when summer vacation starts, the vast majority of them go without this essential, federally funded benefit. Fewer than 4 million kids -- or just 18% of those in the school lunch program -- are fed through the U.S. Department of Agriculture's summer food program. While that's a record number for the 40-year-old initiative, many advocates and government officials say more needs to be done. "In the summer, when those school meals disappear, children find themselves hungry and with few options," said Duke Storen, a senior director at Share Our Strength, which aims to end child hunger. "It impacts their health and well-being and contributes to learning loss." One of the top hurdles for the summer meals effort is the federal requirement that the kids receive the food at an approved location and eat it on-site. The rationale is to ensure that the children are the ones actually consuming the meals. But it's not easy for kids to get to the meal sites, especially in suburbia, where poverty is growing. Also, the weather can be a factor, as can violence in certain cities. The increased number of children in need has prompted some local officials to try new ways to reach them in the summer months. They are bringing meals to more locations through buses or trucks and adding activities to draw the kids there. 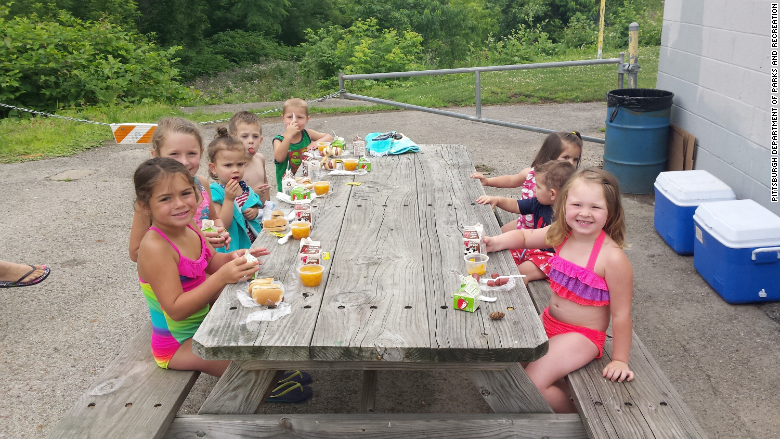 Children get free summer lunch at Beechview Spray Park in Pittsburgh as part of the city's new GrubUp program. Traditionally, the city provided federally funded summer meals at about 70 recreation centers and camps. This year, it launched GrubUp, which will expand its reach to 34 pools, playgrounds, libraries and other new sites through a food truck. Funded by $90,000 in grants, the truck will also attend festivals and other community events. Oftentimes, it will accompany the Roving Art Cart, which traverses the city offering arts and crafts programs for kids. "Where we can find the kids, we are going to take the meals to them," said Jim Griffin, director of Pittsburgh's parks and recreation department, which serves up to two free meals a day at most of its locations. 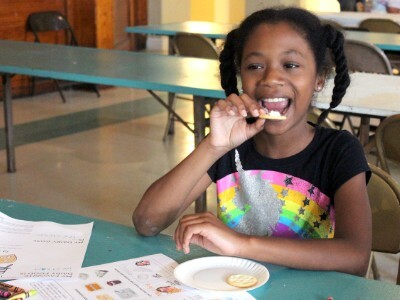 Tennelle Haynes tastes a cottage cheese and cracker combo in Kids Cook. Another new activity aimed at attracting and feeding children over the summer is the Kids Cook program, sponsored by the Greater Pittsburgh Community Food Bank. In addition to receiving their summer meal, the children will learn about healthy eating and make treats to take home, such as black bean salsa, banana pancakes, flatbread and granola bars. It's the first time the food bank has offered Kids Cook when school is out of session. Through these efforts, city officials hope to boost the number of children receiving meals by 10% to at least 7,600 this summer. Still, that means only three of 10 Pittsburgh kids in the school lunch program will receive meals over the summer. On a national level, the USDA is working with lawmakers to increase flexibility around the summer meals program, said Audrey Rowe, a department administrator. It is also expanding the number of sites offering meals, with the most recent push being health centers and children's hospitals.